The section of north St. Louis County, Missouri known as Spanish Lake takes its name from the nearby pond, which local tradition says served as a recreation area for the Spanish soldiers garrisoned at at the Spanish fort Don Carlos founded in 1764. A German immigrant named Jacob Wilhelm built a house and blacksmith shop in Spanish Lake in 1874 on the east side of Bellefontaine Road near the current Spanish Lake Fire House. Wilhelm had come to St. Louis to work as an iron worker on the Eads Bridge, the first permanent expansion bridge across the Mississippi. When the Eads Bridge was completed in 1874 he moved his family to the small village of Spanish Lake, north of St. Louis and began plying his blacksmithing trade. 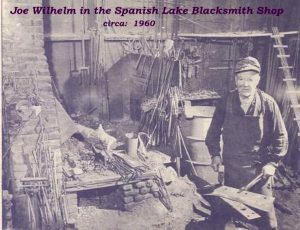 Just a couple of years later, in 1876 he sold his original property and built the shop now known as Spanish Lake Blacksmith shop on the west side of Bellefontaine road, directly across the street from the first shop. The blacksmith shop was a focal point of the community, a gathering place for neighbors. The open front door of the shop was the community bulletin board, posted with upcoming events, items for sale, public notices and the like. Items placed on the door were rarely taken down, (just covered over), and so the blacksmith shop door became a sort of community archive as well. Then in 1976, as the blacksmith shop passed its century mark, Robert Schantz became the blacksmith in the old shop. After moving from his native St. Louis to Tennessee in 1973 to attend horseshoeing school and practice the trade, Schantz returned and re-opened the Spanish Lake Blacksmith Shop. His father Chester Schantz, a carpenter, helped him fix up the shop, and reminisced that he and his brothers and sisters came to the same shop more than a half century before, driving their horse and wagon from their farm at Chain-of-Rocks, overlooking the Mississippi river by the present-day I-270 bridge. By the early 1980s, Bob Schantz had developed and patented an atmospheric propane forge, which was being manufactured in the shop, and had begun to sell horseshoeing supplies with his wife, Marleen. Bob cut back on horseshoeing to concentrate on blacksmithing, specializing in reforging jackhammer chisels and moil points, making tuckpointing tools and other custom forge work.  For several years it was apparent that the good old shop was too small and too outdated to sustain the business. In 1993, the Schantz’s built a new shop in Foristell, MO (about 45 minutes west of St. Louis), on property that had been in Marleen’s family. 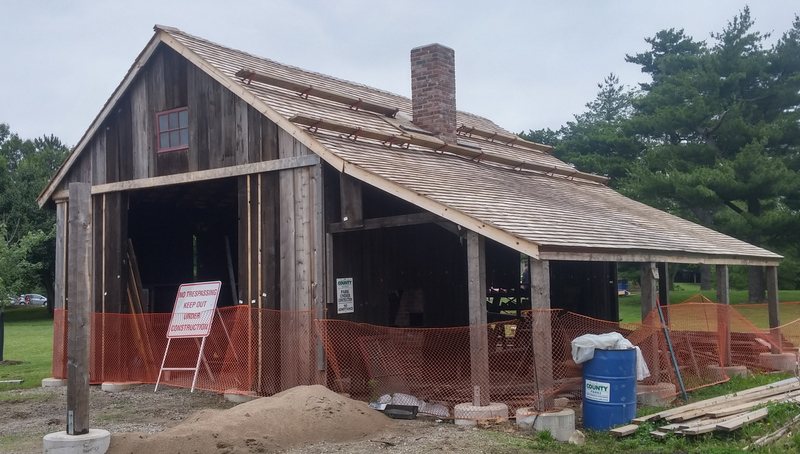 The new building has room to operate a large and diverse blacksmith shop, along with a full-scale Farrier supplies store. In 2004 Bob Schantz was elected by his peers to the International Horseshoeing Hall of Fame, located at Churchill Downs in Louisville, KY.
Bob retired from blacksmithing in 2010 and sold that part of the business. Marleen and Bob continued to supply farriers with horseshoes and other supplies they needed. In September 2013, Marleen Schantz lost her battle with cancer. 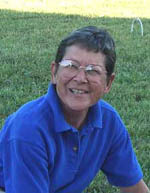 She is remembered and loved by the hundreds of farriers that came to her horseshoeing supply store. Marleen’s niece Charlene Mahood now manages the Farrier Supply business, which has a solid reputation with local farriers and supply dealers across the country. With complete shipping facilities, the Spanish Lake Blacksmith Shop offers nationwide farrier supply service. Several items from the old shop, including hardware and tie rings forged by Jake Wilhelm, are kept and cherished at the new shop. They remain fond mementos of 138 years of blacksmithing history. In 2012 the old shop was dismantled and moved to Faust Park’s Historic Village in St. Louis County. There it is reassembled and restored as part of the park’s historic village. There will be a ribbon cutting when the old shop has been completely restored it will be opened to the public with demonstrations of the art of blacksmithing.